Here are some Miller Analogies Test hacks to maximize your score on the exam. Every little bit helps, so take note! There are myriad resources available for prospective test-takers, so use them! From practice tests to vocabulary flashcards to analogy breakdowns, there are many things you can download for free online. You can even invest in practice tests available for a fee. You choose what resource you like and go with it! No matter how busy you are, carve out some quiet time to study with your chosen resource. Put the kids to bed and be a bit of a night owl. Set the alarm a little early and catch that early bird’s worm. Whatever you need to do to find time to study without interruptions, do it. This is a long-term investment, it’s worth it. 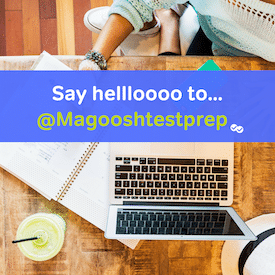 While it’s true that the entire test is made up of analogies, which are two sets of terms representing some sort of relationship, you can make them easier to solve by knowing how to classify the analogies into typical categories. Make sure that once you are ready to take the practice tests, you set your handy dandy kitchen timer. Since the exam consists of 120 questions and you only have 60 minutes to take them in, you need to know how to budget your time. Some questions will be trickier than others and you need to know how much time you can spend on one question. We’ve already covered this in number 1, but it’s important enough to be another point! Professional athletes train, musicians play scales, test-takers take practice tests! There you have it. Five Miller Analogies Test hacks to pull you through with the best score you can get!